Head Coach John Brannen goes over a play during a timeout in the game against Milwaukee. 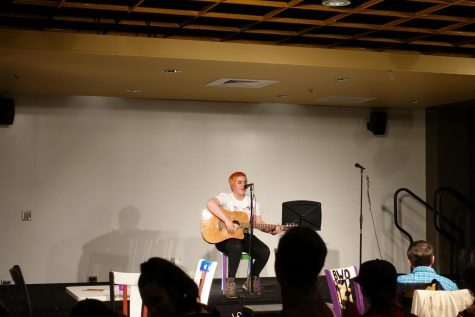 While the NKU men’s basketball team came up with two victories during homecoming week, those wins did not come easy. The Norse fell into Milwaukee’s hands Thursday night, playing half court basketball much of the game and escaping with a 54-52 victory after an excellent defensive stand by sophomore Tyler Sharpe that forced Jeremiah Bell to miss a three-pointer with five seconds remaining. The Norse then saw a 10-point halftime lead evaporate on Saturday against Green Bay. It wasn’t until (guess who) Sharpe hit a contested three with four minutes remaining that the Norse offense found its rhythm again and found narrow separation in the 86-80 win over the Phoenix. Those wins—and a Wright State loss to Milwaukee on Saturday—have vaulted the Norse into first place in the Horizon League with a 12-2 conference record. Wright State fell to second place after picking up their third loss in conference play. Conference games are tough and close, no matter what conference a team is in. So, it’s not surprising that the Norse aren’t blowing teams out late in the year. That being said, I’m not sure if the Norse are at their best at this point in the season. 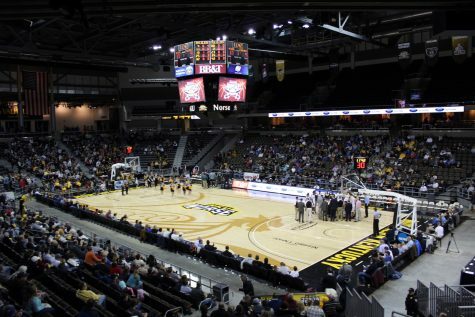 The message from NKU the past few years has been that they want the basketball team at their best as we merged into the Horizon League tournament. 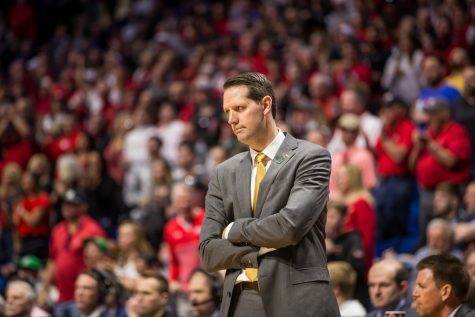 When asked on Saturday how close the Norse are to playing their best basketball, head coach John Brannen was unsure. Friday night will go a long way in determining how close NKU is to playing at their best. The Norse will face Wright State in what will undoubtedly be a full Nutter Center in Dayton at 9 p.m.: a must-win game. It’s important, of course, because it would give Wright State its fourth loss in conference play and would likely wrap up the regular season title for NKU if they were to win out. It will also be a game of revenge, as the Norse will look to even the season series after Grant Benzinger exploded for 31 points in a Raiders win in BB&T Arena earlier in the season. It’s also a chance to stoke the flames on a budding rivalry. It’s really what happens if they were to lose that makes this game so critical. For one, Wright State will own the tiebreaker over NKU, which would likely mean the Norse would finish no better than second place in the regular season standings. NKU still has one more game on the road against UIC, who are streaking up the Horizon League standings with a 10-4 record after winning seven of their last eight games. 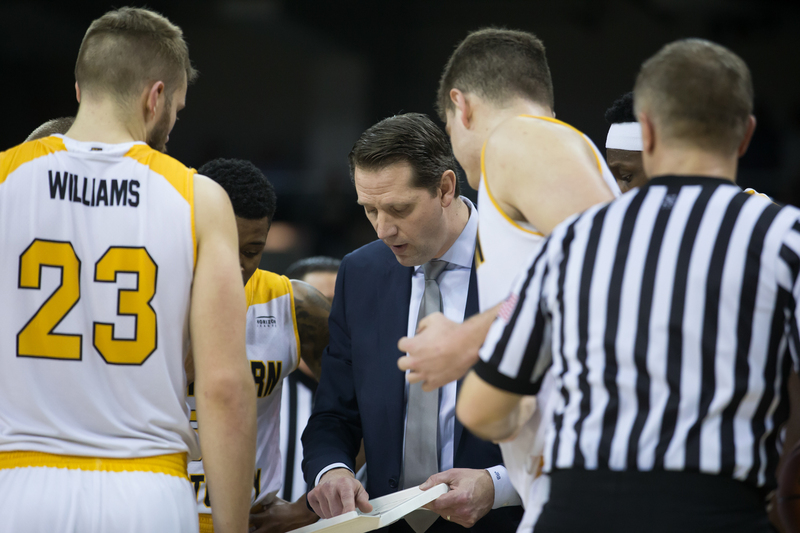 A loss on Friday leaves no room for error the rest of the season, making every game, including the UIC game, a must win if the Norse want to hang on to the second seed in the Horizon League tournament. A Norse loss to UIC (assuming UIC doesn’t lose another game) allows the Flames a chance to earn the second seed and kick the Norse back to the third seed.